It was a nice rapids ride but it could use more waterfalls. Pretty poor river rapids ride. I love the landscaping around the ride and the rides layout is concealed, but the ride is just really short. Also, the rapids were really weak since the rafts traveled slowly. The waterfall at the end certainly is soaking, but if you dont get hit by it you come off dry. Nice rapids. It has a great duration and is a fun way to get wet. This ride is a fun thing to do for people of all ages. This is an above average rapid ride. I like these rapids just fine. They are pretty long and not a bad canyon theme. 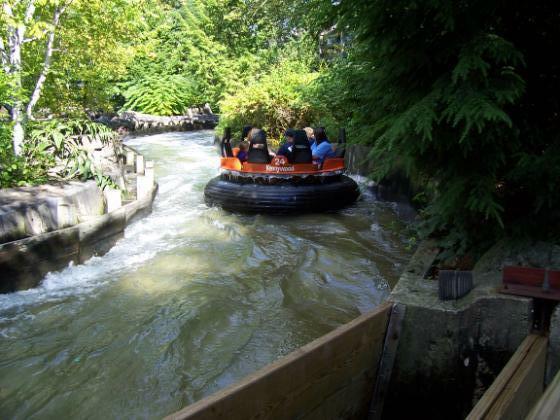 It blows the other 2 water rides at kennywood out of the water. I like the waterfall but I dont like the spinning! 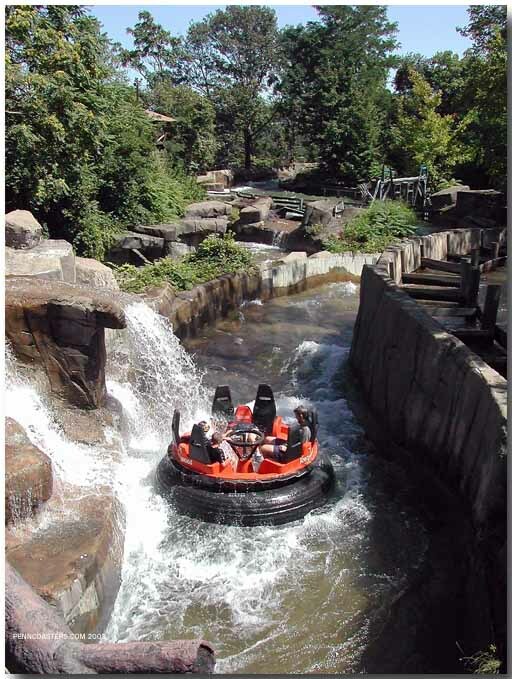 The Raging Rapids is a river raft ride. It is fast, fun, rerideable, it has a large capacity, and a long duration. Overall, I think this is a very good rapids ride. True, it doesnt have 5 waterfalls like some, but it still follows a good course and you get anywhere from decently wet to soaked. Like previously mentioned, I too like the random nature of who may get the one waterfall, and seeing peoples reactions as the raft bumps them towards it! A solid water ride! spree is right it only has 1 waterfall it could use some more.But other than that this is a great river raft ride. This ride has alot of potential, but it really needs some more waterfalls or something. I dont know, but if I am going on a water ride I wanna get wet! I hate standing in line for an hour and barely getting a splash.